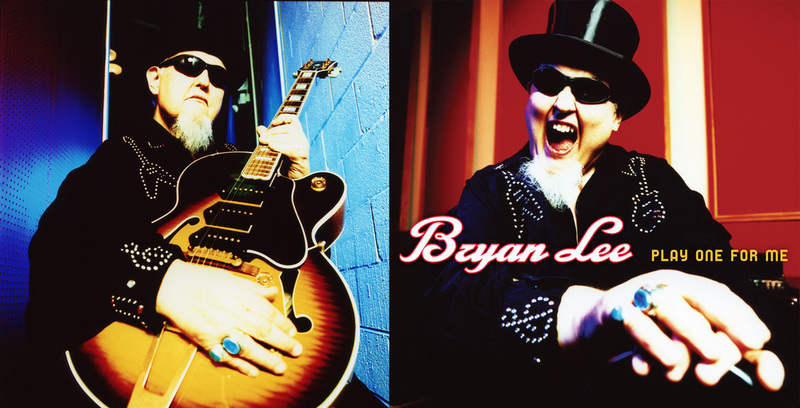 "Bryan Lee is one of the few seasoned Blues musicians who consistently honors the art form of the Blues while incorporating his own personal touch which fans love to hear all over the world." Bryan continues to mentor young Blues musicians such as Matthew Curry, Mike Imbasciani, Tallan Noble Latz, and Magnus Berg from Norway, in hopes of keeping the art form alive and true to its original form. Bryan Lee has 13 CD’s and 1 DVD out, all released on Justin Time Records from Montreal, Quebec, Canada. “Katrina Was Her Name” released in 2008 was nominated for a BMA, (Contemporary Blues) and won The German Critic’s Award for Outstanding Blues. He is expecting his new CD to be released spring of 2013 on Severn Records featuring Kim Wilson on harp. Bryan Lee and The Blues Power Band continue to tour all over the world with Brent Johnson on guitar, John Perkins on drums and Nick Hern on bass. CLICK THE IMAGE BELOW TO VISIT BRYAN'S OFFICIAL WEBSITE FOR MUSIC, VIDEO, HD PHOTOS, ONE PAGE, VENUE RESOURCES, SOCIAL MEDIA LINKS AND MORE!